Appliance repair in Bucks County, Pennsylvania provides an excellent option for many households and businesses today. This service helps owners maintain the useful lifespan of a wide variety of expensive conveniences. Appliance Doctor fixes problems with dishwashers, refrigerators, ovens, dryers, washing machines, and more! Today, many quality household appliances cost significant sums to replace. Instead of paying money to cart a broken kitchen or laundry room appliance to a landfill, why not consider requesting skilled repair services instead? By obtaining knowledgeable appliance repair in Bucks County, property owners conserve their financial resources. Enabling an appliance to continue in service for a longer period of time spares owners the expense of purchasing or renting a new model. If we can’t solve a problem with an appliance cost-effectively due to severe damage or unavailable replacement parts, we let customers know about the issue quickly. Our team of skilled repair technicians strives to help customers save money. Appliance Doctor assists both business and residential customers. Obtaining timely appliance repair in Bucks County enables a customer to continue enjoying the use of important equipment. For example, we fix many valuable kitchen conveniences. Both homemakers and restaurant managers appreciate our courteous, swift assistance! We provide helpful repair solutions in all these situations (and many others). Our company performs careful repair services. We help customers maintain their appliances in a safe, smoothly operating condition. We service most popular makes and models. Contact us to request repair or maintenance assistance. Customers reach us online, or by dialing 215-547-5500. We look forward to speaking with you! Are Sub-Zero Refrigerators Worth the Money? If you’ve ever looked into Sub-Zero refrigerators you’re aware that they are not cheap. Base prices start around $7,000 and only go up from there. Certainly they market themselves as as premium appliance for commercial applications and high end kitchens. But are they really worth the price tag? 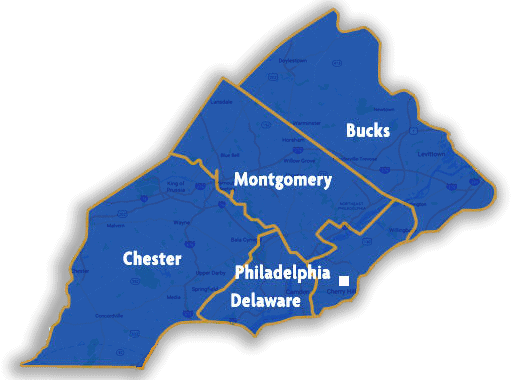 We here at Appliance Doctor, an appliance repair company serving Greater Philadelphia, work on these units fairly frequently. What follows is our take on the value you get for your dollar. 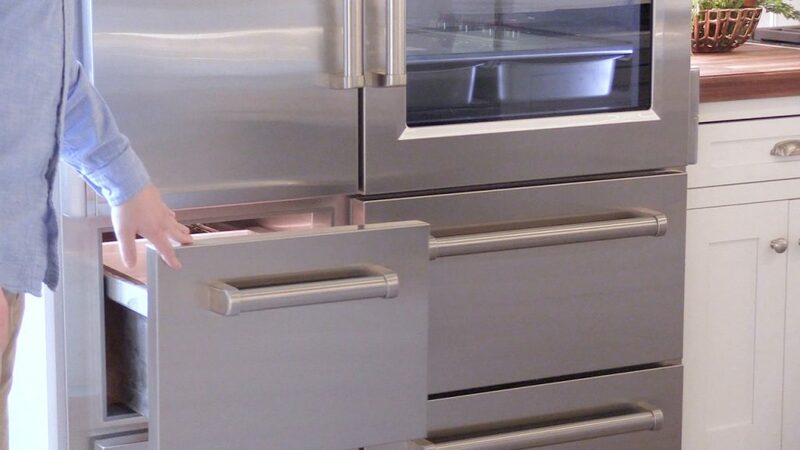 Sub-Zero was the first appliance manufacturer to build and market a counter depth refrigerator. These are shallower than normal refrigerators, designed so they don’t stick out a distance into your kitchen the way normal fridges do. This sort of innovative thinking is a hallmark of the company. They are currently the leading manufacturer of integrated refrigeration units. 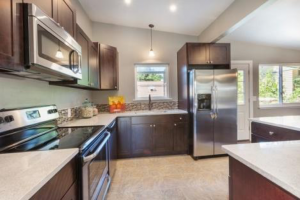 These appliances take the counter depth model to its logical conclusion, replacing the normal fridge door with panels exactly matched to your kitchen cabinets. With a quality unit when it’s closed you can’t tell it’s there. It looks just like a bank of cabinets. If this sort of integrated look is something you like Sub-Zero is a good choice. This was unique to Sub-Zero refrigerators until recently, but as the innovator of the technology Sub-Zero’s designs are arguably better. Most refrigerators have a single compressor for the fridge and freezer portions of the appliance. The problem with this is that the moist air in the fridge mingles with the dry air in the freezer, which can lead to frost problems, particularly if the auto-defrost function in the freezer isn’t working properly. It also tends to migrate strong smells from the fridge into the freezer, which can taint your ice and other items. Having two compressors, one for the fridge and second for the freezer is much better. With that design no air every crosses between the two halves of the unit. Sub-Zero refrigerators include air purifiers that cleanse the air of mold spores, germs, viruses and the gasses given off by spoiling food. This helps keep food fresher longer and prevents that unpleasant moment when you open the fridge and encounter the nasty smell of rotting food. Unlike normal refrigerators, Sub-Zero fridges employ an active vacuum seal to prevent outside air from entering the fridge interior. This works in concert with the air purifiers to extend the life of your food. In any given run of refrigerators it’s common for the factory to only test a few units as representatives of the rest, the logic holding that if those are built properly the rest should be, too. By comparison Sub-Zero thoroughly tests each and every unit before it’s shipped. This guarantees that your appliance is built well and functions properly, every-time. Sub-Zero is certainly one of the best refrigerators money can buy. Whether they’re right for you, though, is something of a personal question. If you can afford the hefty price tag then by all means put one in your kitchen. Otherwise, consider how long you’ll be in your home. If this is your dream kitchen and you’ll be using it for years, the price may be worth it. Because of Sub-Zero’s quality and name recognition, the appliances feature great resale value. Should you ever sell your home being able to advertise a Sub-Zero fridge could help bring in buyers. Sub-Zero refrigerators have an excellent performance record, but if you ever do need repairs we can help. We’re an appliance repair company serving Greater Philadelphia, so we can be there quickly to give your refrigerator the TLC it needs. You’ve spent a lot of time and money setting up your kitchen just the way you always wanted it. You’d hate to let all that effort and investment go to waste. 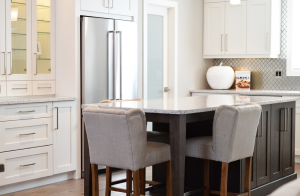 Whether your kitchen is outfitted with all the latest state of the art appliances or is full of relics from a bygone age, there are still a number of things you should be doing to keep them working as well as possible. Regular maintenance can lower your energy costs, save on repair bills, and increase the longevity of your essential kitchen equipment. Be sure to clean out not just the wilted lettuce in the crisper, but the outside as well. In particular, you need to make sure the condenser coils in the back or bottom of the refrigerator are clean and free of dust. This should be done at least once a year and will make the fridge more efficient and also extend its lifespan. A thorough clean means doing more than just running the self-clean cycle. For tough spills and nasty messes, a little old-fashioned oven cleaner and a good sponge will do the trick. Also, the vent filter should be cleaned or, ideally, replaced every year due to a buildup of grease and debris. Anything other than the correct solution is liable to cause permanent damage. If you take extended winter trips, be sure to disconnect your dishwasher and empty all the hoses. A power outage or furnace breakdown in the winter could cause the water in the hoses to freeze and crack. The same applies to summer homes that sit empty all winter. Sometimes, though, even with proper maintenance your appliances eventually break down. Maybe because of age, or maybe because one of your kids has been stuffing your dishwasher with towels again. Either way, the Appliance Doctor, the premier heating, cooling, and appliance repair specialists in Pennsylvania and Delaware, have you covered. Dishwashers are one of those appliances that homeowners rely on the most. In the busy routine and hustle of daily life, dishwashers take off the load of doing dishes and makes our lives so much easier. But, as with other appliances in the house, dishwashers can malfunction too. Sometimes a quick repair is all it takes to get this piece of machinery working again. You can hire an appliance repair company in Bucks County to have your dishwasher looked at. At other times, you need to replace your trusty old dishwasher with a new one. 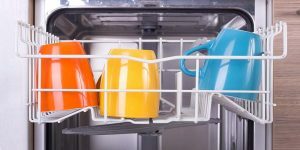 You can get tempted to keep using a dishwasher even though it’s way past its retiring age in an effort to avoid investing in another. But, for all you know, a faulty dishwasher might be causing more unnecessary expenses for you. So, look out for these 5 signs which mean that it’s time to get a new dishwasher and bid farewell to the old one. If you are removing your dishes from the dishwasher in a timely manner and they are not coming out hot, your dishwasher’s heating coil may be faulty. The hot and sudsy water is the key factor in getting clean, germ-free dishes. But, if your dishwasher is unable to do that then it may need a new heating coil. Rather than spending so much on a repair, it is smart to replace the dishwasher. If you notice a few specks of rust on the outside of the dishwasher, it may not need to be replaced immediately. But, once you start noticing that it is catching rust on the inside, you would want to replace it as soon as possible. Rust is a sign of water leakage or another significant issue with the dishwasher and it can get onto your dishes too. If the latch of your dishwasher doesn’t close properly or at all, it can be fixed or replaced by the help of an appliance repair expert in Bucks County like Appliance Doctor. But, in more serious cases it could be due to the fact that the machine has warped as a result of water leakage. In this case, you will have to replace the dishwasher. You should never see water standing in the dishwasher after a cycle is complete. A small amount may be fine but if you see a lot, it is a sign that the dishwasher’s drain has clogged. Check your dishwasher drain to see if any food or debris has gotten stuck. You can get it out yourself or get a plumber to do so. But, if the drain itself has cracked or crumbled, you will have to replace the dishwasher. If your dishwasher as started to make unusual noises while running, it may be due to a fault in the motor or something getting stuck in the mechanism. Such issues may be fixed after a repair by an appliance repair company in Bucks County. However, if it’s due to something more serious, like the motor breaking down, you will need to replace the dishwasher. 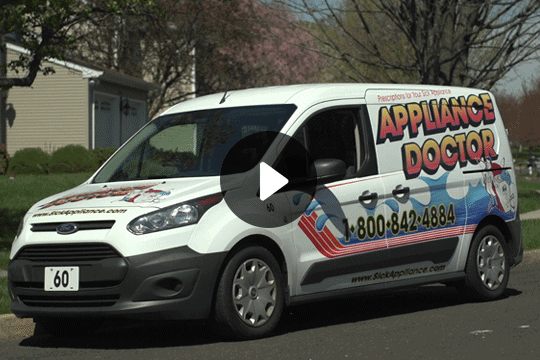 If you are having issues with your home appliances or want a machine fixed by an appliance repair expert in Bucks County, contact Appliance Doctor. In the modern day, many people can’t imagine anything other than a wireless internet smart home system. It offers benefits such as the ability to turn on the air conditioning from your office before you leave work. Additionally, if you are a computer geek, a do-it-yourself wireless system can be a fun challenge. Some people prefer to stick to the original plug-in X-10 module that can also be upgraded to a computer-controlled system. The plug-in system uses a single controller to send out signals to various devices. The computer system replaces the basic controller with your computer, and the only difference from wireless is that you can’t control it from any device other than the central computer. 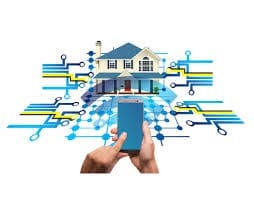 A smart home and IoT system gives you a lot of agency, but things can feel shaky when an appliance or other system component starts malfunctioning. Luckily, the modern market in Pennsylvania’s Delaware Valley provides excellent appliance repair people. There has never been a better time to get a smart home. Our fantastic machines that make our days more convenient can easily be taken for granted. That is until they no longer function with the push of a button. We often forget to ensure those marvels of modern life keep working away for us. 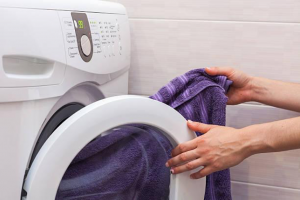 Your washing machine can create expensive repairs if a drum is broken or your house is flooded due to a burst water hose. To keep your drum running efficiently for years, the type of detergent you use is a factor. Use only high-efficiency or HE detergents. Non-HE detergent suds create problems for your drum and drive system. 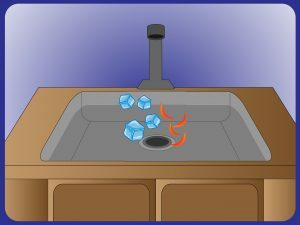 In addition to regular HE detergents cycles, once a month run an empty hot water load to break down any residue in the drum. You know the sound of your washer. If it suddenly sounds off track or you experience heavy vibration, check the machine’s stability to ensure all four legs are firmly touching the ground. Most legs will come with locking mechanisms. Make sure the machine is firmly on the floor. Your dryer’s lint trap should be cleaned regularly, but did you know it doesn’t trap all the lint. In fact, a large amount of lint, over time, is not trapped. This lint eventually becomes a fire hazard. Each year thousands of residential fires are started by lint filled dryers. Use semi-rigid or rigid aluminum or galvanized steel ducting to protect your home. Cheaper ductwork such as light foil or plastic poses a higher risk for sparking fires. Using a vacuum cleaner once a month to clean out your lint slot reduces the risk of a fire. Once a year, unplug the dryer then clean out the vent tube with a vacuum. Need a replacement or repair of your washer or dryer? 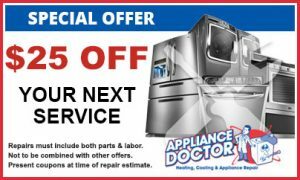 Appliance Doctor in Philadelphia provides great service that you can trust. How old is your water heater? Traditional tank water heaters have an expected lifespan of anywhere from eight to 12 years, and tankless models can last up to 20 years. If your appliance is nearing the end of its longevity, the risk of corrosion makes replacement a better option. Corrosion will eventually destroy your heater’s lining, which can lead to leaks and water damage. 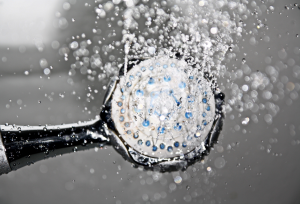 Does your hot water appear rusty when you turn on the faucet? This can be a sign of internal corrosion, often from old age or an appliance that’s in need of repair. An easy way to check is to turn on the hot-water tap. If this water is brown, then you know the issue is with your water heater. However, if your cold water is also discolored, the issue might be with your water source (typically either a well or a public water supply). No, your home most likely isn’t haunted. If your HVAC system is making unusual noises (like crackling, banging or popping), replacement might be necessary. These sounds are often caused by water heater tanks that have accumulated a layer of sediment. Hot water needs to fight to make its way through this deposit layer, which can result in an unwanted symphony. It also forces your water heater to work twice as hard, meaning you can expect high utility bills at the end of the month. Unsure whether you’re in need of replacement or repair? Appliance Doctor in Philadelphia provides prompt and reliable services that you can trust. When it comes to the most used appliances in your home, the refrigerator likely is sitting at the top of the list. Even if it isn’t, it undoubtedly one of the most important. If your fridge breaks, it’s an emergency. So how do you decide if you should replace that old fridge or get it repaired? There could be a simple solution. While some of these seem obvious, you’d be surprised at what can happen. Is it plugged in all the way? Are the air ducts clear? If everything is looking good with the list above, there are a few ways we can determine that your fridge has seen its final days. The freezer side no longer cools properly. There is a defective compressor, which determined by a humming noise. Repair costs are more than half that of a new fridge. If the fridge is over 15 years old, replacing it will be worth it in the long run due to energy savings alone. If it’s looking like you may save your fridge, we can do the final check by looking at a few key things. The fresh food section no longer cools properly. It’s not making ice, dispensing water, or some other extra feature is not working properly. The doors are not sealing as they should. Of course, the best option is always to consult a professional when determining when it’s time to replace or repair. This will become essential as the cost will be part of the deciding factor in almost every case. If you require a professional to evaluate and repair your fridge, look no further than Appliance Doctor in Philadelphia.